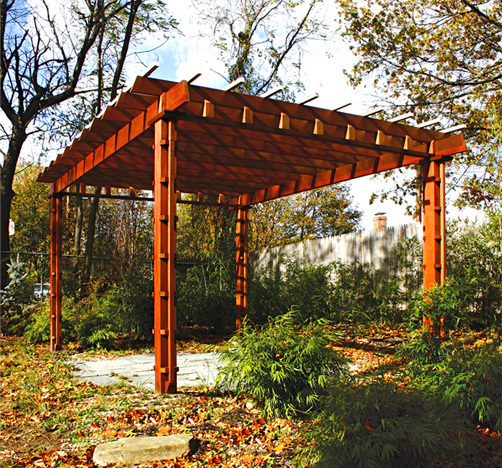 This contemporary Asian style pergola incorporates latticed posts to facilitate vine growth. 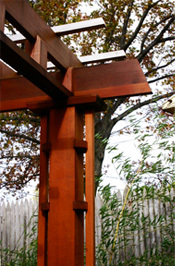 This idea has since evolved into one of our new modular pergola styles. The modular pergolas can be acquired in any number of sections.